Siddharth Nagar situated on the border of India and Nepal is one of the popular districts in Uttar Pradesh which is known for its places of interest like pilgrims, parks, entertainment hubs, shopping centers, picnic spots, Ghats and so on. Numerous tourist and devotees visit Siddharth Nagar every year. The state government and the central government along with numerous private agencies make arrangements to greet the tourist guest visiting Siddharth Nagar. The good transport facility is yet to be developed to promote tourism in Siddharth Nagar. Piprahwa is a village near Birdpur in Siddharthnagar district of the Indian state of Uttar Pradesh. Kalanamak rice, a scented and spicy variety of rice is grown in this area. Piprahwa is best known for its archaeological site and excavations that suggest that it may have been the burial place of the portion of the Buddha’s ashes that were given to his own Sakya clan. A large stupa and the ruins of several monasteries as well as a museum are located within the site. Ancient residential complexes and shrines were uncovered at the adjacent mound of Ganwaria. 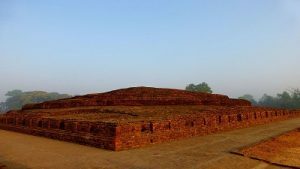 Some scholars have suggested that modern-day Piprahwa-Ganwaria was the site of the ancient city of Kapilavastu, the capital of the Shakya kingdom, where Siddhartha Gautama spent the first 29 years of his life. 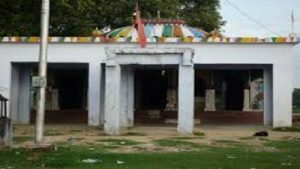 Bharat Bhari Temple is located in Domariyaganj Block in Siddharth Nagar District of Uttar Pradesh State, India. It is located 65 KM towards west from District head quarters Naugarh. 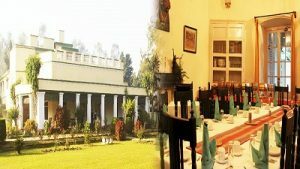 It is located 05 KM away from Domariyaganj and 210 KM from State capital Lucknow. 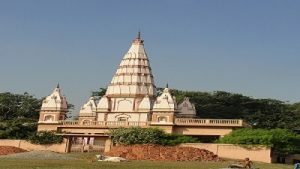 Madhali ( 2 KM ) , Samda ( 2 KM ) , Mahuara ( 4 KM ), Ausan Kuiyan ( 4 KM ) , Ajgara ( 5 KM ) are the nearby Villages to Bharat Bhari Temple. Bharat Bhari is surrounded by Ramnagar Block towards South , Khuniyaon Block towards North , Mithwal Block towards East , Rudhauli Block towards South . This Place is located on the border of the Siddharth Nagar and Basti District. A majestic white bungalow surrounded by a lush carpet of grass, The Royal Retreat in Shivpati Nagar is a haven for those seeking to unwind and rejuvenate. Located in close proximity to prominent Buddhist sites. This heritage hotel is alive with tourists all through the year. 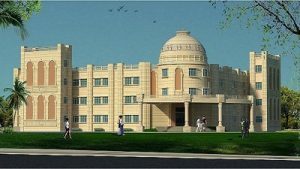 The Siddharth University, Kapilvastu, Siddharth Nagar is a state university established at 17 Jun 2015 by Government of Uttar Pradesh in Kapilvastu, Siddharth Nagar. University began its first season in 2015-16 at colleges of Siddharth Nagar, Maharajganj, Sant Kabir Nagar, Basti, Shravasti and Balrampur. These colleges were formerly affiliated to Deen Dayal Upadhyay Gorakhpur University and Dr. Ram Manohar Lohia Avadh University, Faizabad. Every Year university conduct the annual examination in the month of March . Currently the university hosts B.Com program on the campus with a permanent faculty. The Yogmaya Mandir in the district sited in Jogiya village is a famous temple in Siddharth Nagar and it is believed on offering Kadahi and Prasad to the residing diety Devi Yogmaya Mata especially on Mondays and Fridays the devotees wished will be blessed by the Goddess. Mundan rituals for kids are one of the popular events performed in Yogmaya Devi temple premise. Holy dip in the river nearby the temple premise is very popular. Every year during Kartika Purmina a two day fair is organised in Yogmaya temple premise which brings in devotees and visitors from all around Siddharth Nagar district and making a wish to the goddess in these special days are considered divine by the devotees. Yogmaya Maat temple is a divine place where the devotees find peace of mind on visiting. It is also said that the temple was earlier known as “Mahamaya temple” the name derived from the name of Gautam Buddha’s mother.